One of my earliest memories is of my dad taking me to walk while my mom took care of my little sister. It’s a vague memory of a happy time, just the two of us, walking around the block. Adding a sibling is a rough time for a child who goes from being an only to sharing the parents. I was the older of two but have no memories of being an only. 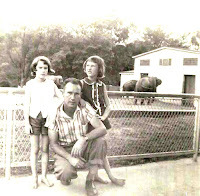 But I do have memories of time with my dad as he made sure I didn’t feel left out after my sister was born. Now our son, Peter, and son-in-law, Drew, each have two children: a three year old and a one year old. They each make sure they have time to give the older girls special “daddy time” while the mom takes care of the little one. I’m sure when the girls are older this will retain memories of these special times just for them with their dad. Addie loves going to walk with her dad; just the two of them having their special time. Peter enjoys taking Lilly Bell to ballet on Saturday mornings or to swimming lessons, giving them some special time just for the two of them. 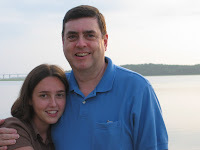 I have other special memories with my dad: my sister and I going to the golf course with him, walking with him while he played golf; having him take us out to sell Girl Scout Cookies; going on plane trips with him; all of us going on picnics and to Stone Mountain. It’s not only the big events that create the best memories but the everyday things that form the fabric of our lives: family meals, walks, time together. 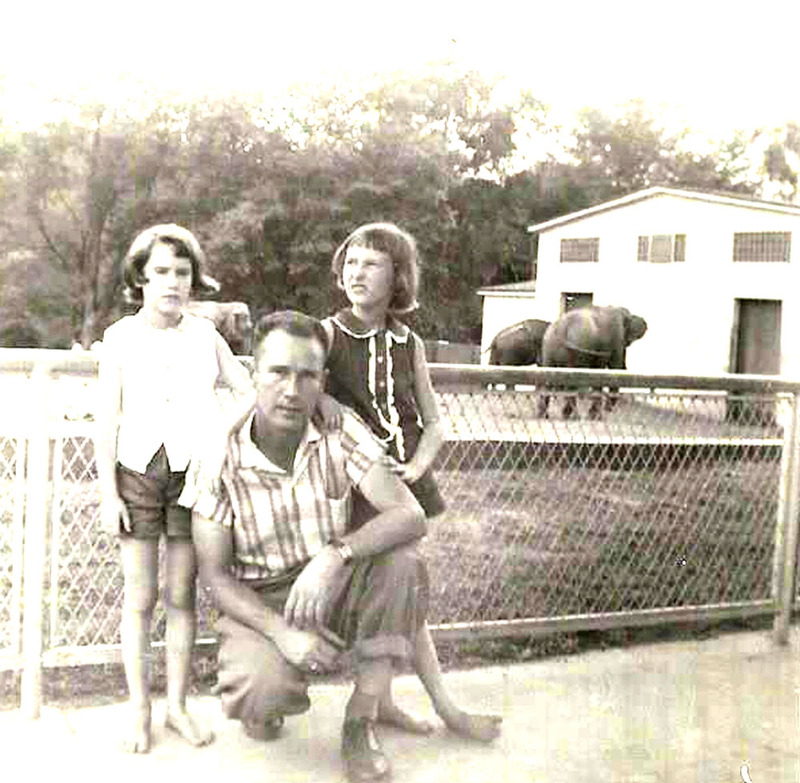 Both of my parents are gone now, but the memories remain forever; they gave me the foundation for building my own family. 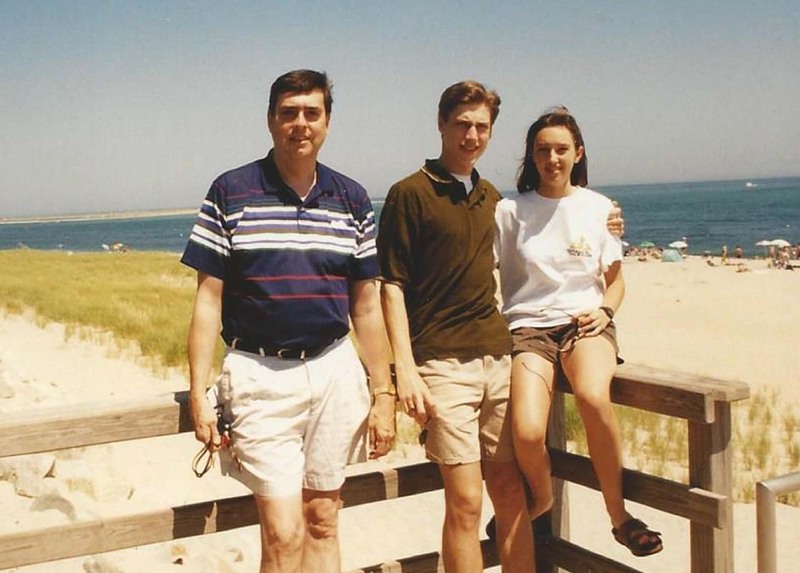 Father’s Day is one of those often glossed over holidays, not given the attention of Mother’s Day – fewer cards sent; fewer long distance phone calls; fewer gifts. Yet good fathers’ are not to be taken for granted. a stop between Princeton and Harvard . Fathers get a bad rap on television shows and in movies where they are often put down as inadequate. It’s an image that needs to change to fit with modern fathers who are actively engaged in their children’s lives, spending time with the children, talking to them, reading to them, working hard, and giving wise advice. It shouldn’t be a competition of who is the best - between man and woman – father and mother – but a unity of family. Mother’s Day and Father’s Day should both be special. I am thankful that I was blessed with a wonderful father; that my husband has been a wonderful father to our children; and that our granddaughters have a wonderful father in our son and son-in-law. picked up the shell and tossed it out, into the standing rain water, putting out the fuse. 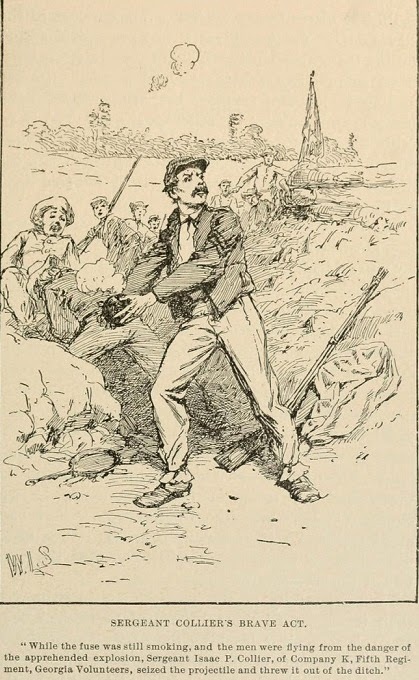 He and his fellow Confederate soldiers were saved. For his bravery, he was offered a battlefield commission to Lieutenant. However, the commission would have transferred him to another unit and he chose to stay with his men from Upson County. Instead, he was promoted to Sergeant and continued to fight until surrender in 1865. One hundred and fifty years ago the battle of Atlanta was preceded by the Battle at Kennesaw Mountain and the Battle at Smyrna. In Cobb County we remember the date, not with celebration, but with commemoration of the men who fought valiantly for the South. The Civil War battles in this area are a part of our American history, and, for many of us, the history of our family members. Thanks to the work of the local Sons of the Confederacy, my ancestor is remembered in exhibit 13 at the Kennesaw Mountain Battlefield Park museum. So, if this was such a strife-ridden time in our history, why do we commemorate it now 150 years later? For one thing, we learn from our past so we don’t repeat it. We look to the past to see how far we have grown as a nation. And we recognize the history of our ancestors. It is not an abstract history, but, like the history of WWI and II, the French and Indian War and the Revolutionary War, it is the story of our ancestors. I am here today only because God spared my ancestors, my grandfathers and my father and brought them safely through the horrors of war. Long ago great-great granddad Collier saved lives with his bravery at a spot that is now near Burnt Hickory and Old Mountain Road in Marietta near Kennesaw Mountain. Today, I live in a subdivision named somewhat after General Robert E Lee and from my porch, I can glimpse Kennesaw Mountain. I can easily imagine skirmishes fought on this land a hundred and fifty years ago. Today, we commemorate the1864 battles in Cobb County, looking back at the history and moving forward into a united, peaceful present and future. 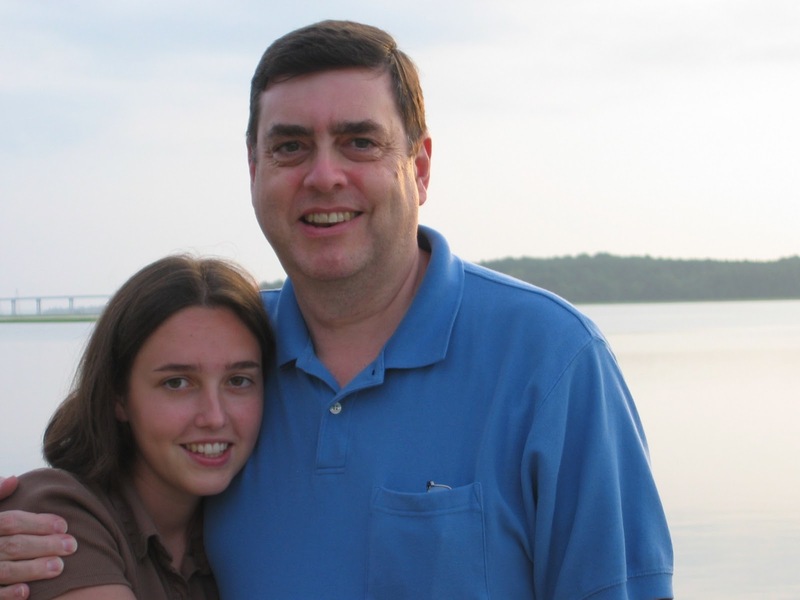 Thirty One years ago, shortly before Mother’s Day, on May 1, 1983, I received a wonderful, precious gift: the birth of my daughter, Katie. She arrived with black hair and a sweet disposition. Now, thirty one years later, shortly before Mother’s Day and her birthday, our daughter Katie received the wonderful, precious gift of her daughter, Caroline. At 11:12 p.m. on Monday night, April 28, Caroline Bennett Long was born at Presbyterian Hospital, Charlotte, N.C. She came into the world with a head of soft black hair, reminding me of her mother‘s arrival. Her big sister, Addie, was thrilled with her baby sister, standing outside as the family car drove into the drive-way, waiting with both sets of grandparents. 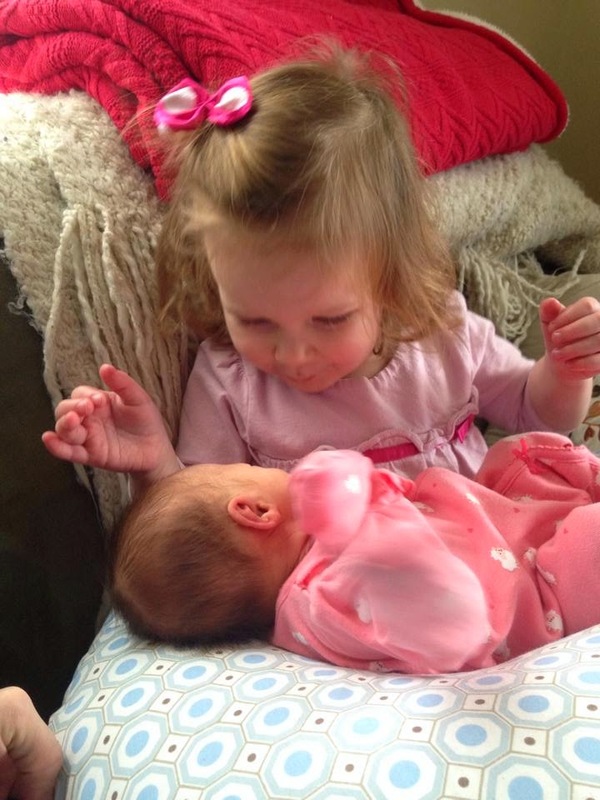 Addie first greeted her mother and then her baby sister, with giggles and oooh’s of excitement. Arriving home from the hospital, Caroline was greeted royally and took it all in with calm and sweetness. She let us take turns holding her and rocking her. She may be the second child in her family, but I can tell already she will be able to hold her own and be her own person - just like her mother. Caroline needs to know that her mother will be a terrific role model for her and her sister. Katie didn’t fit the mold of a second child. She has always been willing to accept challenges and to be the best she could be in all endeavors: a scholar, an athlete, a friend, a wife, mother and a loving, caring Christian. I look forward to watching Caroline develop her own personality, discovering her own talents and interests. I imagine her playing games with her big sister, having whispered conversations, playing dress up, reading lots of books, and kicking the soccer ball. I expect she, too, will hold her own with her sister, excelling in her own right. Caroline is our fourth granddaughter and each of the girls share similar family traits and look; yet each is unique and individual. Each granddaughter is a special blessing that we cherish. In years to come, I’m sure the four cousins will be best of friends, enjoying vacations and holidays, face time and photos. Addie, Lilly Bell, Harper and Caroline – you are our darling girls; loved, cherished and adored. It will be a long time before you can read this letter, but it is written to welcome you to our Lipsett family. We haven’t met yet in person, but we have talked with you via Face Time on the day of your birth: March 9, 2014. Your Granddad and I, your Nana, will be coming to see you soon at your home in Arlington, Virginia. You were born into a digital world, with your dad, our son Peter, announcing by phone text that you would soon be arriving. 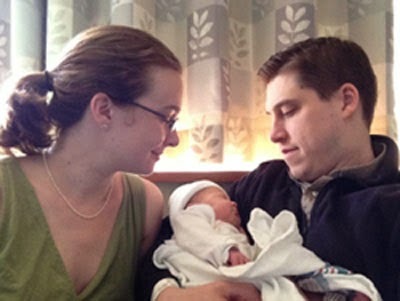 We sent out a birth announcement to family and friends via email soon after your birth. And, as I said before, our first visit was a digital one, our IPad to your dad’s. As your mom, Ann-Bailey, held you, I do believe you smiled for us. We have already had several virtual visits with you. Who knows what electronic marvels the world will hold during your life? But we will always make time for live visits with you. We also hope that you will share the family love of reading and that paper books and newspapers will never be totally replaced by the electronic versions. was very concerned about it. In no time at all you too will play so hard that you have booboos that require band-aids. You will be playing games with Lilly Bell, walking and talking, having tea parties and being best friends with your sister. She is already very proud of you and eager to have you play with her. You are our third granddaughter, following your cousin Addie Long and your sister Lilly Bell, but rest assured, Harper, that you are not third in our love. You are all three tied for number one in our love and devotion. Harper Bethli Lipsett, you are a beautiful, sweet, good-tempered baby. On March 9, you joined the Lipsett and Lynn families, including loving parents, sister, cousin, aunts and uncles, grandparents and great-grandparents who are all excited to love you, teach you, encourage you, and watch you blossom. 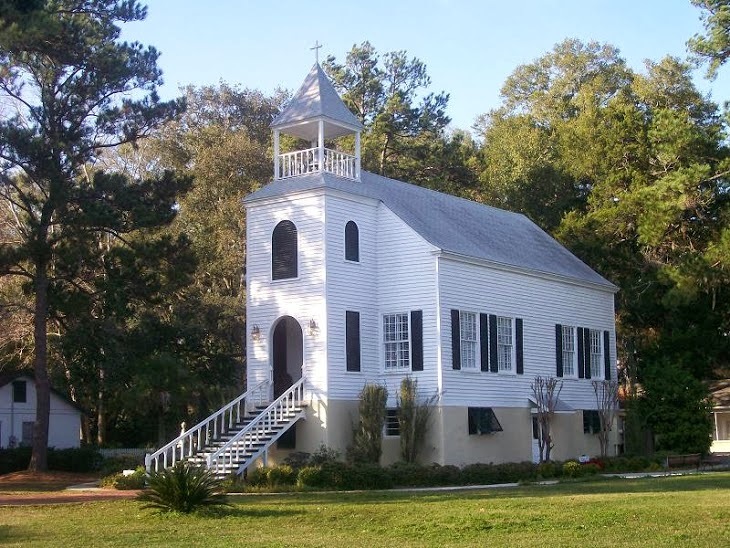 The small Southern Baptist Church of my childhood worshiped with a quieter, simpler Christmas celebration than our current large Presbyterian Church in Marietta. 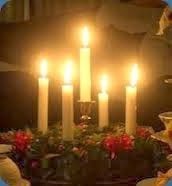 There was no advent wreath and lighting of the advent candles. There was no candlelight Christmas Eve Service; no living nativity such as the one we enjoyed in our South Georgia church. But there were simple decorations of greenery; we sang Christmas Carols with gusto and listened prayerfully to the Christmas story and cherished the true meaning of Christmas. After I married a Presbyterian, the Christmas Eve service became a part of our own family tradition. 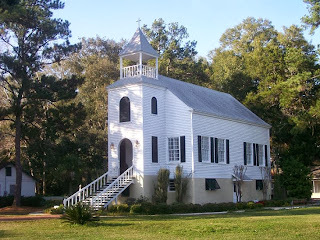 Before children and when they were very young, we were members of the First Presbyterian Church in St. Marys, Georgia, a small historic church near the intercoastal waterway. 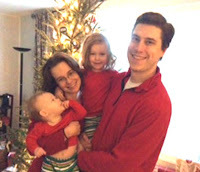 The first Christmas after our daughter Katie was born, we set out for the church in freezing cold weather. Looking back, I am amazed that, being the overprotective mother I was, that I agreed to take our little baby and toddler son out in record setting cold – minus three or so. But it was a beautiful service and the tradition has continued no matter what the weather. Two years ago, we celebrated the Christmas Eve service with our two grown children, their spouses, and our then baby granddaughters. Allan was singing with the other choir members and I sat, with a broken elbow, holding one of the babies. When we stood for a hymn, Katie took her daughter, Addie, from me; probably a good idea with only one good arm. Traditions are special; and they can be modified as our family grows in love and numbers. Several years ago, one of my Face Book friends asked folks to tell her about their Christmas traditions that they shared with their children. Along with several others, I began by talking about our tradition of going to the Christmas Eve service at our church. Christmas, more than most holidays, seems to be one in which the traditions of our childhoods play a major role in how we celebrate as adults. The beautiful decorations and Christmon Tree at our current Presbyterian Church fill me with the Christmas spirit. Throughout December we sing Advent songs and await the celebration of the birth of the Christ Child. Church, whether decorated elaborately or simply, draws us to the Christmas message. Do we carry our Christmas decorating and celebrating from our homes into the church or do we carry the Church celebration and decorating into our homes? Does it really matter? The truth is the spirit of Christmas is alive wherever we are; in church; in our homes; with other people; or alone. The secular traditions of the holiday, the frazzled days of shopping and decorating, are secondary to those of the religious celebration. Trees; wreaths; stockings; lights; ornaments; Santa; gifts; cards; divinity; cookies; and fruit cake: all are the trappings of the season. These symbols of the season are meaningless, however, without putting the Christ in Christmas. And the best part of the Christmas spirit is that it doesn’t need to be December for us to hold the message of Christmas in our hearts and in our minds and in our lives. The two little girls, just approaching two-years-old, weren't sure they wanted to be on the beach this summer. They were hesitant; a little afraid. 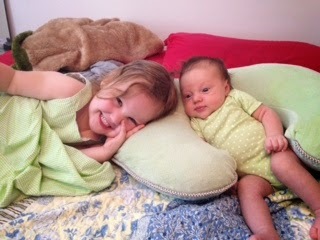 But by the end of the July 4th week, our two granddaughters were laughing and playing and having a grand time. We had a special treat for this year’s Fourth of July. Our grown children booked a house on North Carolina’s Oak Island and invited Allan and me to join them. We hadn't been all together since just after Christmas and it was such a delightful week. Lilly-Bell, the daughter of our son Peter and his wife Ann-Bailey, had been to the beach last summer, but still had to re-build her courage. She doesn't like touching the sand or standing in the water, but enjoyed being in the water with one of us holding her. She giggled as the waves approached her, safe in her mother’s arms. 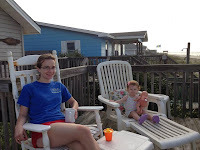 It was a first beach visit for Addie, daughter of Katie, our daughter, and her husband Drew Long. She was hesitant of the water, not wanting to get too close. But she too was giggling in the arms of her mother as they stood in the warm Atlantic. Addie didn't mind the sand and was soon walking boldly down the beach, enjoying the wide-open expanse.. This Fourth of July was probably our best ever. We saw incredible fire-works displays up and down the beach; some a little too close for me, but beautiful nonetheless. The American flag on the deck blew elegantly in the brisk sea breeze. There were no political speeches; not even any barbecue; we ate seafood and walked along the pier and watched the sea gulls dance in the air. 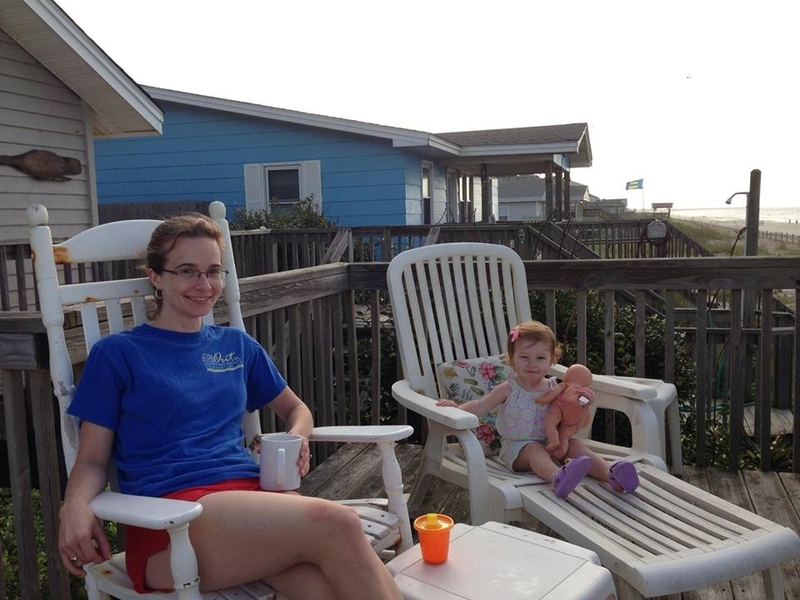 Cobb County, we had blue skies and sunshine from Tuesday through Saturday on Oak Island. I had intense exercise lifting little ones, walking with them along the beach, and playing in the water. It was the best fitness program ever. Now we are home and I keep hearing their sweet little voices, talking, laughing and singing. It’s always nice to return home after a vacation, but our house seems to be just a little too quiet; a little too neat, with no toys scattered for play. But the memories of this incredible time with our grown children, in-law children and granddaughters will last forever. What can you give to the father who has everything? It’s the same thing the father can give to the children who have everything. It’s the one gift that everyone should have. TIME! It’s a gift in limited commodity; a short shelf-life; fits everyone; and need never be returned. In our rush and tumble, busy, busy lives, there never seems to be enough time for all of the things we want to do. But time is the one thing that we all need from those we love. Time: you can’t wrap it in pretty paper and tie with a ribbon; it’s fleeting; and ephemeral; but it’s the best gift of all. Our son, Peter, has just completed his MBA with an emphasis on economics. A rigorous and demanding endeavor while working full time, he graduated with a high GPA. This was a great accomplishment; but it cost him in lost family time. But I’m proud of him for still reserving as much time as possible for wife, Ann-Bailey, and toddler, daughter, Lilly Bell. Leaving early and returning after Lilly Bell was sleeping on class days meant finding creative ways to preserve quality time. Sometimes it was dressing Lilly Bell while her mom was dressing for work; or preparing her breakfast and eating with her. Week-ends meant finding as much time as possible to be together as well as study. My father was a golfer. No, not professionally; but that was his passion; his hobby. His work, which he enjoyed, was with Eastern Air Lines. You would think that between work and golfing, he would have little time for his family. But his family was very important to him. When my sister and I were in elementary school, he found time to be with us by taking us to the golf course with him. Neither of us turned into golfers, but we enjoyed being with him, walking the course, watching him play. When I was on the Marietta School Board with a night meeting twice a month, Allan would take Peter and Katie out to McDonald’s for dinner. Although Allan is a great cook, they enjoyed this special daddy-child night out together. When I announced that I wasn't going to run again for the Board, both children asked if that meant giving up their special McDonald’s night. By then, they were both in high school and eating at McDonald’s wasn't that special, but the time with their dad certainly was. Not only is it often difficult for busy fathers to find that special time for their children, it is often difficult for children to find time for their fathers. The modern family has created such hectic schedules that from a young age children are often too busy for fun family time. When roles are reversed and the child is an adult, with their own family, it is even harder for them to find quality time with their father. A phone call or a visit is a special gift, much better than anything store bought. My own dad left this world much too soon. Our time together passed much too quickly and I wish there could have been time for one more walk around the golf course or one more conversation with him. The best gift I have given my children is the same one my mother gave to me: a loving father who treasures time with his children even when they are all grown up.